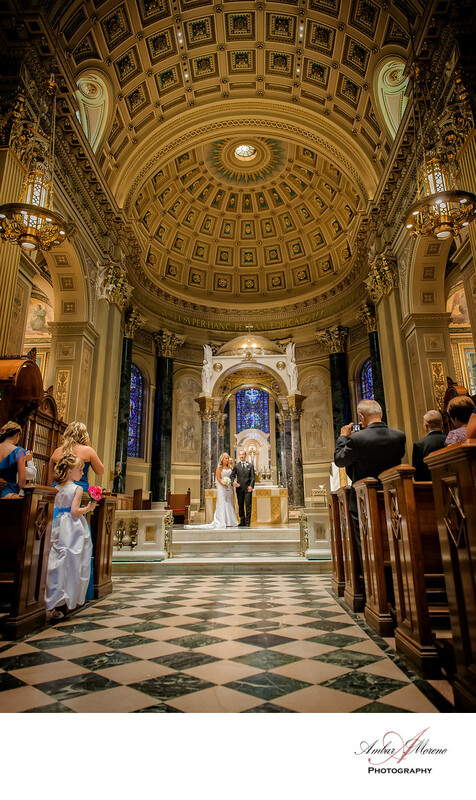 A gorgeous wedding celebration at the grand St Peter and Paul Church located in center city Philadelphia. Wedding at the Sky located in Philadelphia Pennsylvania. The ceremony was truly amazing and the church with all of its architecture can only be described as simply remarkable. Location: 18th Street and the Benjamin Franklin Parkway, Philadelphia, PA.
Keywords: Philadelphia (18), Saint Peter and Paul Basilica (3).